AUCD (Association of University Centers on Disabilities), an association based in D.C. asked us again in 2014 to develop their conference materials for their annual event. 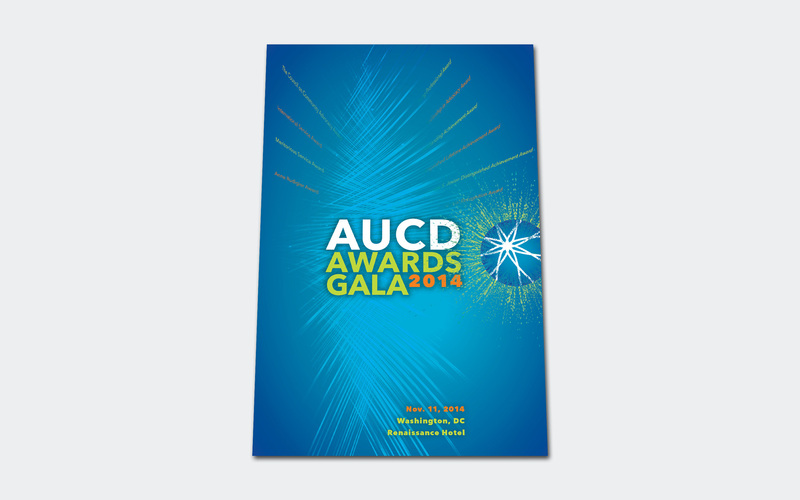 The theme for 2014 was AUCD Unleashed: the POWER of engagement. 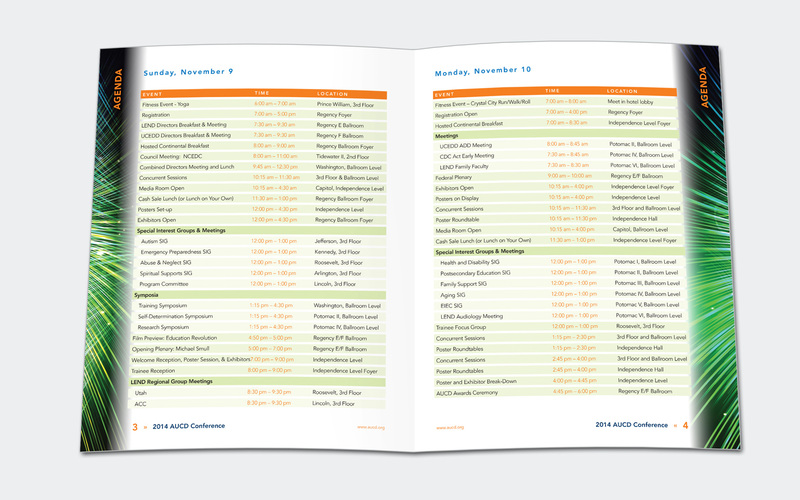 We developed the conference logo, the website imagery and the programs and awards booklets. The theme needed to convey excitement and energy. We developed the theme with a visual explosiveness that gives a very powerful connection to the message.